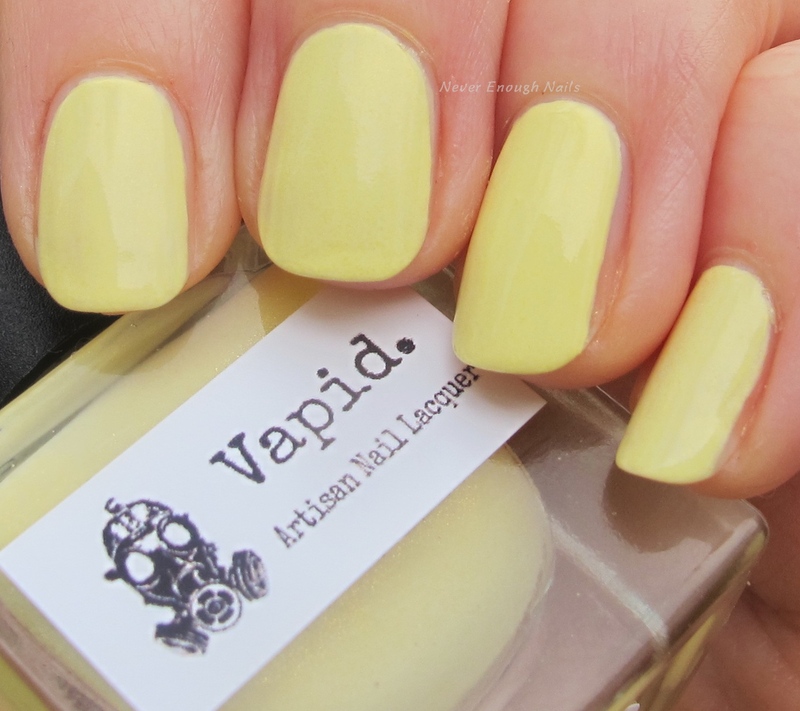 This buttery yellow creme is the lovely Vapid Lacquer Ostara. Ostara is from the Vapid Goddess of Spring collection, a group of five perfect pastels for spring, named after five goddesses. I am a sucker for good pastel yellows, so I had to try this out. It has shimmer that you can see in the bottle, but on the nail it wasn't very visible. I always think the addition of shimmer helps pale cremes apply better though. This is two coats of Ostara and I am pretty impressed with the formula. The first coat had some streaks on some of my nails (the ones I was more careful with had no streaks and were almost opaque in one coat!). After the second coat, everything was opaque and streak-free! The consistency is great too and made it easy to apply. 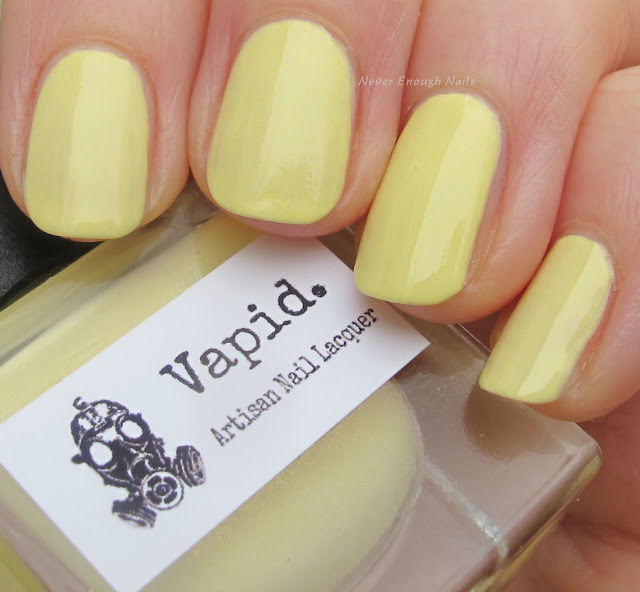 Vapid Lacquer Ostara is available now on http://vapid.mybigcommerce.com in the full 15 ml size or the new 9ml Shmedium size, and it's also available in the Goddess of Spring sets with all five from the spring collection. Check out Vapid Lacquer on Facebook for new collection info and restock times!